If you are fond of sandwiches in the morning breakfast, then sandwich makers are an essential appliance for your kitchen. With the latest sandwich makers, you can make different types of sandwiches within few minutes. 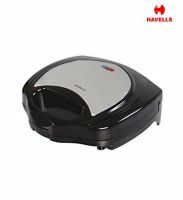 You can find a wide range of sandwich makers on DealsCorner from famous brands and online stores like Flipkart, Shopclues, Amazon, Infibeam, etc. on single platform. DealsCorner is one of the leading comparison sites which enable you to compare the prices offered by the various online stores and then choose the product of your choice in the lowest price range available in India. With several essential kitchen appliances to fasten the cooking process, sandwich makers also time saving appliances which not only help in making different types of sandwich but also enhance the taste and quality of the sandwich. In the conventional method of toasting, there is always the risk of burning or over heating the bread which can spoil the taste. 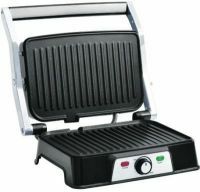 Using sandwich makers, you can not only cook sandwiches but also make different types of grilled sandwich, pizza, cooked meat, beef, turkey, sausage, etc. 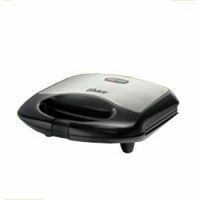 One of the famous and widely used sandwich maker model are the Panini sandwich maker which needs to be pressed to grill the bread items. There are sandwich makers which come with the sealed pocket capability. With the sealed pocket facility, you can stuff various ingredients in the sandwich and then seal the sandwich maker grill the sandwich. 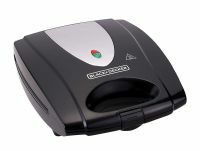 The sandwich makers are available in small, compact, large, etc sizes depending on the model and make. While choosing the sandwich maker, one should choose the model depending on the number of sandwiches that needs to be cooked. If you occasional make sandwiches or you have less number people in your family then you can choose the compact sized sandwich makers. 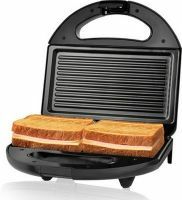 If you have a large family and you cook sandwiches almost daily then you should look for sandwich makers with multiple trays to grill. You should also consider the heat level of the sandwich maker while choosing because depending on the heat level or heat controlling feature, you can cook different items using the same appliance. There are also sandwich makers which have the timer facility using which you can set the timer and it automatically shuts-off when the sandwich is made. 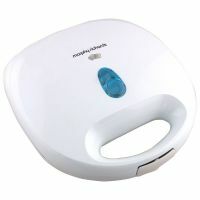 It is also important to consider the ease of cleaning while choosing the sandwich maker. Using the detailed information about the sandwich maker, choose the right sandwich maker which is suitable as per your requirements. Finding any sandwich maker from the market is simple but finding good quality product in a reasonable price range is important. You can find sandwich maker from local stores, but most of the stores have limited stock or brands which gives you less options to select. At DealsCorner, you can find a wide range of products from well known brands like Nova, Morphy Richards, Euroline, Bajaj, Prestige, Russell Hobbs, Baltra and many more. Shopping on DealsCorner is simple and easy. Just search the product you need, compare the prices offered by the online stores and then choose the product of your interest in the lowest price range available in India.